"To My Oldest Friend, Whose Silence Is Like a Death" by Lloyd Schwartz was offered by Poets.org's Poem-A-Day on February 27, 2014. A link to the poem, including the poet's notes, may be found here: http://www.poets.org/viewmedia.php/prmMID/23891. 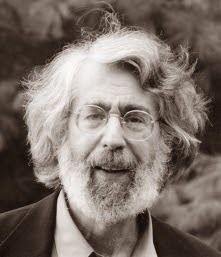 Lloyd Schwartz (b. 1941) (pictured) is the Frederick S. Troy Professor of English at the University of Massachusetts in Boston. He was awarded the Pulitzer Prize for Criticism in 1994. He is the author of three published books of poetry. Additional biographical information, as well as links to other poems by the same poet, may be found here: http://www.poets.org/poet.php/prmPID/688?utm_source=PAD%3A+To+My+Oldest+Friend%2C+Whose+Silence+Is+Like+a+Death+by+Lloyd+Schwartz&utm_campaign=poemaday_022714&utm_medium=email. The poem is presented in thirty-four lines of free verse divided into couplets and singlets, mostly couplets. The singlets tend to be shorter and used perhaps for emphasis. Parentheses are used twice: once within a line, and once bracketing a singlet. The reason for their use is not clear, as the bracketed portions do not come across as asides or really any different from the non-bracketed portions. The title summarizes the theme nicely and is a kind of short form poem in itself. Ironically, Ezra Pound, whom Schwartz quotes, probably would have edited out the entire rest of the poem.